During the summer of 2007, a small group of people gathered to discuss the potential for a “one-stop-shop” type of professional development. We aspired to showcase the many jewels in the Tulsa informal education community. 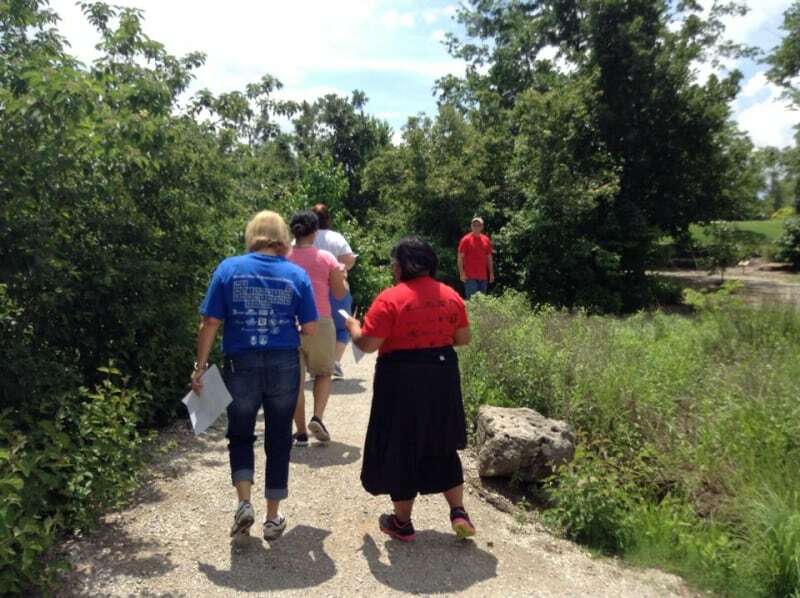 For two weeks, teachers embark on a journey across the city learning, meeting professionals and taking back curriculum from the many different informal education institutions in Tulsa. We started with two partners for a pilot, the Tulsa Zoo and the University of Tulsa. Quickly, we realized this could, in fact, work. Many other partners were invited to meet and all came on board with this crazy idea. In the summer of 2008 SENSEsational Science was born. Unlike any other professional development we could find, SENSEsational science provided teachers the opportunity to learn from more than ten institutions, gain confidence in teaching STEM, integrating it into reading and math, connecting with professionals working at the institutions and developing and gathering curriculum to embed in their classroom. Here we are 10 years later! What a journey. We have worked with over 1000 teachers, 26 partners, two workshop sites (Tulsa and Lawton) and endless memories and friendships. This program has been a true product of the alliance. Without our partner’s relentless commitment to education, professional development and willingness to say yes to a crazy idea this program would have never gained traction let alone be 10 years old and still going strong. We look forward to future years in helping sister STEM Ecosystem cities establish similar programs and continued partnerships, but most importantly, friendships in promoting STEM education in our schools. Thank you University of Tulsa, OK Aquarium, Tulsa Zoo, Gilcrease Museum, Philbrook Museum, Tulsa MET, Tulsa Public Schools, Union Public Schools, Tulsa Community College, Broken Arrow Public Schools, Jenks Public Schools, Owasso Public Schools, Discovery Lab: Tulsa Children’s Museum, FabLab Tulsa, Tulsa Geoscience Center, Linnaeus Teaching Gardens, Tulsa Botanic Gardens, Camp Loughridge, Oxley Nature Center, Tulsa Air and Space Museum, Tulsa Glassblowing School, YMCA, Tulsa Symphony, J.A. Manning Fish Hatchery, Comanche Nation College, Cameron State University, Hackberry Flat, US Fish and Wildlife, OK Department of Wildlife, Wichita Wildlife Refuge, Museum of the Great Plains, STARBASE and the 1000 educators who have provided feedback to help this program continue to grow. We adore you all!